It was a clear, breezy day in Rio de Janeiro as Mayor of Rio, Eduardo Paes, stepped off unfurled the Olympic flag to cheering citizens of Brazil. 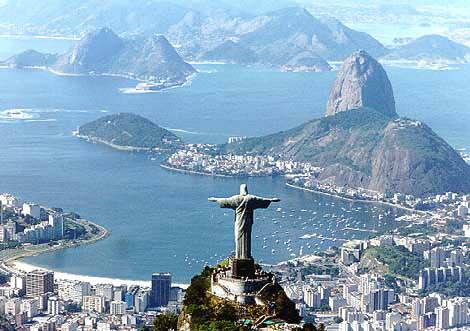 Rio will be the host of the 2016 Summer Olympic Games, which will run in August 2016. The nation has a lot to be proud of these days, recently hosting the Pan American Games in 2011, then building with the FIFA World Cup in 2014 and Olympic grand finale two years later. Since 2009 when world icon Pele helped Rio win its Olympic bid, citizens have rallied to transform their city. One act, especially one with a deadline, can unite a nation or decimate it. From 1763 to 1960, Rio de Janeiro had been the capital of Brazil. It was a world power, the center of all activity for South America. However, its government acted upon a grand plan to encourage its population to grow inward, and began to build Brasília in 1960 to be a regionally neutral federal capital. When it opened in 1960, people, money and power gradually shifted inland, leaving Rio to be a shadow of its former self a decade later. Poverty and crime took over, and by the 1990’s, there were over 1000 favelas (slums) in the hillsides overlooking Rio’s priceless beaches below. Each favela was ruled by a drug lord and residents were plagued by bloody gang turf wars. When Rio won its Olympic bid, its government began to retake control of several high-profile favelas, sending in battalions of special-operations police to remove the traffickers and then installing a community-based presence called Pacifying Police Units, or UPPs by their Portuguese initials. So far, 17 UPPs have been set up in 68 different communities, and the results have been positive. Crimes are down significantly. Favelas like Cidade de Deus, or City of God, which is home to the biggest UPP (and the setting of the famous 2002 Brazilian movie by the same name), have seen a massive increase in drug seizures and arrests, while homicides and robberies have been almost halved. “Now we feel valued,” says Chapéu Mangueira resident-association president Valdinei Medina. “Life has clearly got better.” One defining moment can trigger a community in crescendo.